You’re heading to Moscow! It’s a big city, with a lot to do, but you’re here for CSKA. The stadium itself, Arena CSKA, is northwest of the city, near the airport, but you can stay fairly central then head out to the stadium later on. LAVKALAVKA – This fantastic restaurant focuses on farm-to-table eating, with recipes inspired by traditional Russian cuisine from the 18th century. There is a serious consideration towards local produce, showcasing where it has come from and cooking it as simply as possible. Choose from eating local dumplings, deer with wild berries or borsch with beef brisket, all incredibly reasonably priced (most main courses are less than £10). Situated to the northwest of the city centre, you can book a table ahead of the game and move on afterwards. Not to be missed for a exquisite example of local grub. А в нашем ресторане на Петровке в рамках сырного фестиваля появилась обновленная сырная тарелка. 8 видов сыра с плесенью разной степени выдержки от Любови Горбачевой из Смоленской области, подаются с 4мя видами меда с травами от Юдаковых. Приходите пробовать! GLAV PIV MAG – We don’t want to use the word ‘revolution’ but craft beer in Moscow has definitely experienced an … upheaval, let’s say. A fine example of this is the brewery, Glav Piv Mag. What makes it properly special is that of the 80+ beers on offer, all are Russian, which means there’s a good chance you’ll get to try a whole bucket of new beers. The other big bonus is that all are relatively cheap, unlike craft beer in the U.S. or UK. If you’re still craving more by the time you leave, the accompanying shop offers a huge selection of bottles to buy and you can also grab food if so desired. If the vodka is all a bit daunting, head to this brilliant bar for something more palatable. THE ARMOURY – If time is on your side, and you want to see some of the best that Russia can offer, then The Armoury is just about as good as it gets. 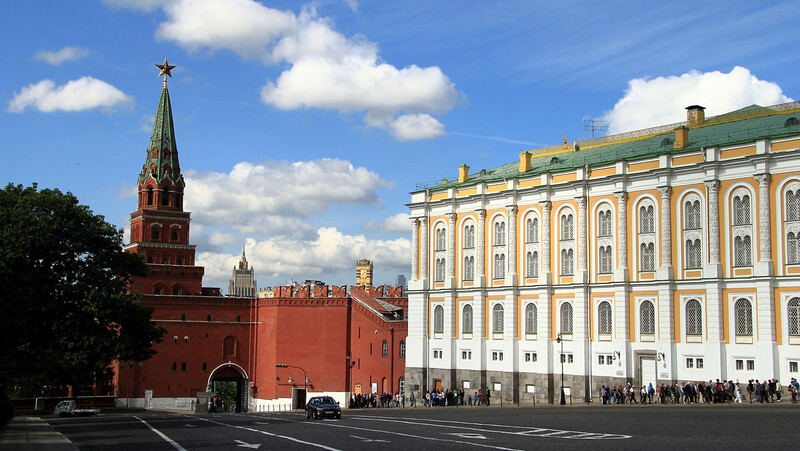 Located in The Kremlin, the incredible collection of artifacts includes the ivory throne of Ivan the Terrible, 10 Fabergé eggs and the helmet of Yaroslav II, all part of the Russian Diamond Fund. If you’re not quite sure where to start there is an hour-long audio tour you can do. For those who have never been to Moscow before, and who want to see more than CSKA’s stadium seats during your trip, then The Armoury is well worth your time. GUM – Aesthetically, the State Department Store (Glavny Universalny Magazin) is an astoundingly beautiful piece of architecture, and while you can admire from inside and out, it’s also a great place to pick up presents for anyone back home. Commissioned by Catherine II in the late 19th century, the glass-roofed structure has been a shopping hub ever since, other than a 25-year period during Stalin’s reign when it became the dictator’s offices, and displayed the body of his wife after her suicide. Today it is a place to shop, eat and drink, and to meet friends, so a good starting point for your time in the city. But, be warned, shopping here can be very expensive.